Women’s football is still in the eye of the hurricane, especially with the upcoming Women’s World Cup in the summer, which takes place in France. Meanwhile, women players all around the world are preparing for this event, making a great achievement that helps the women’s game develop and grow even more. Women’s football is here to stay and people are starting to realize that. We saw that on the great matches of Madrid and Turin, where Juventus (40,000 approx.) and Atletico (60,000 approx.) beat the audience records for a women’s game in Spain and Italy respectively. 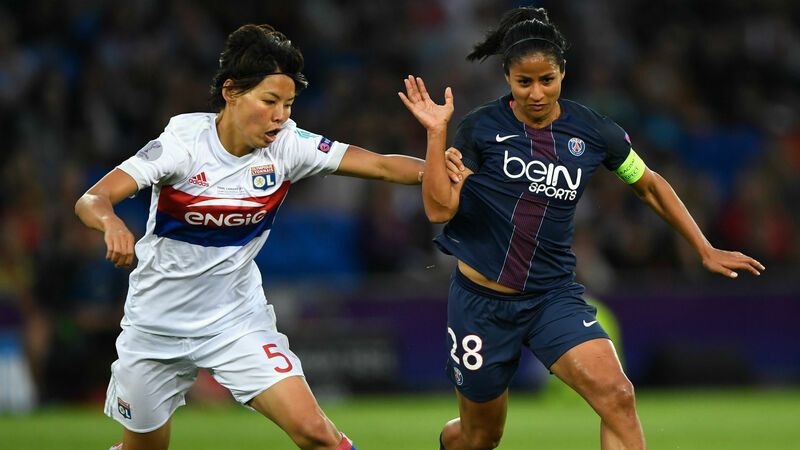 Now, it’s the turn for France, the World Cup place holders, and for a team that has achieved everything in women’s football: Olympique de Lyon. Yesterday, Saturday 13th April 2019, the Parc OL Stadium had the presence of about 26,000 spectators in the match between Olympique de Lyon and PSG. 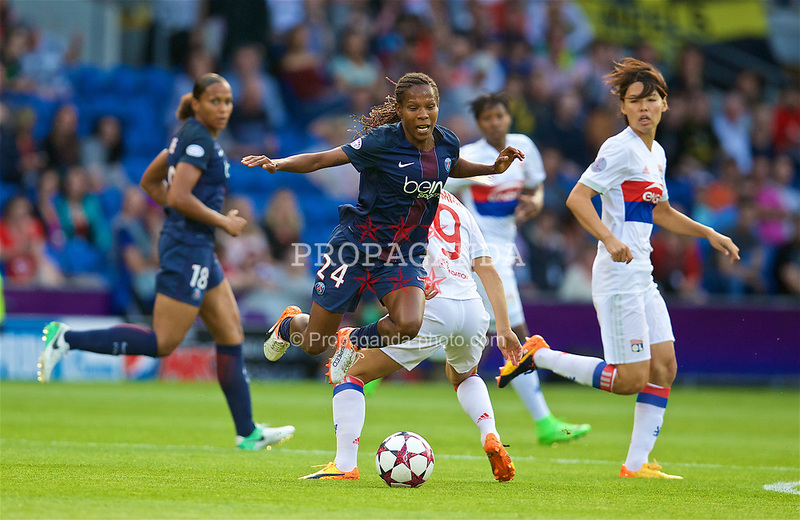 This match broke the attendance record of women’s football in France. In comparison to the previous numbers, the 26K that watched Saturday’s match in Lyon doesn’t seem all that impressive, but still, it was a great achievement for women’s football. Also, it was an amazing match to watch. The duel between the two French giants ended in a resounding 5-0 win for the local team. First, Ballon d’Or winner Ada Hegerberg put her side in front with a back-post header in the eighth minute. It continued with Hegerberg again involved in the play, passing the ball to France vice-captain Eugenie Le Sommer to make it 2-0 in the 40th minute. Another French national team star, center back Wendie Renard, converted a penalty kick in first-half stoppage time to make it 3-0 at the break and then, there was no comeback. Hegerberg once again, set up this time German national team star Dszenifer Marozsán to make it 4-0 on the hour mark and then, Dutch striker Shanice van de Sanden closed things out with a beautiful finish in the 92nd minute. The win ensures a 13th consecutive D1 Féminine title for Lyon, which now leads PSG 56-53 in points and, vitally, 76-47 in goal differential. Lyon will play Chelsea in the semifinals of the Women’s Champions League as Les Lyonnaises look for their 4th straight Champions League crown. Finally, this encounter had 25,907 spectators, surpassing the previous mark of the French league: 12,263 people who attended a clash between Guingamp and Lyon in 2011. Clearly, a great record for French women’s football and a great start for what could one of the best World Cup in women’s football history. Next How Is Women’s Football In The Rest Of The World Right Now?